Locality: United States, Colorado, Kit Carson, Hell Creek along Coutny Road 33. Habitat: Blowout in sandsage prairie with Amaranthus arenicola, Aristida adscensionis, and Dalea villosa. 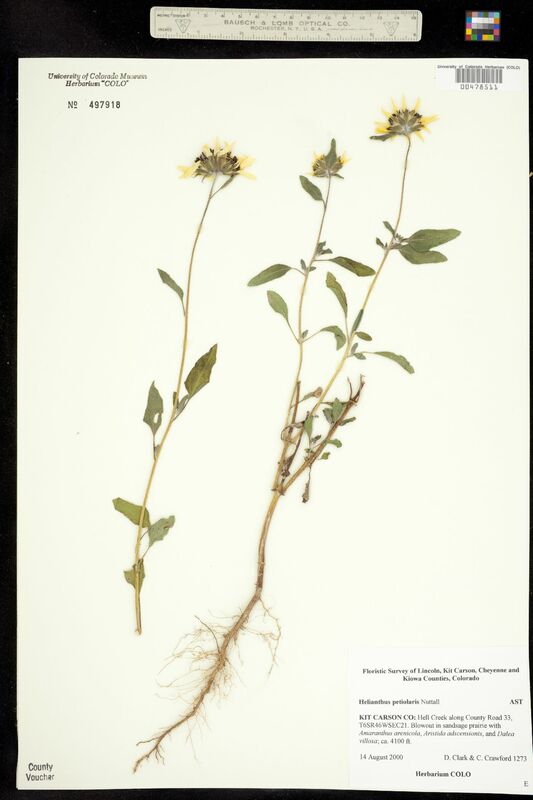 Notes: Floristic Survey of Lincoln, Kit Carson, Cheyenne and Kiowa Counties.